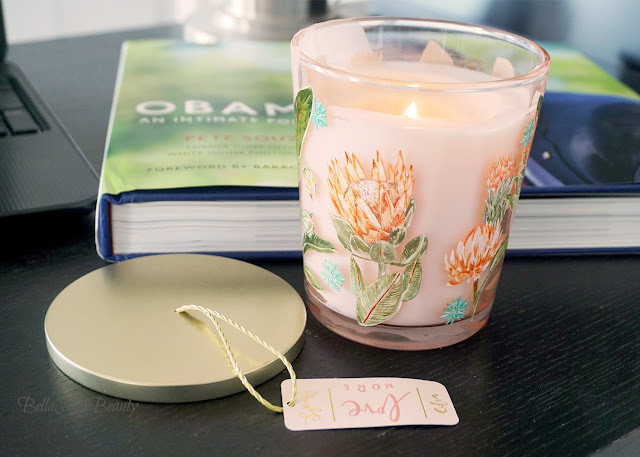 I wanted to write about the candle I recently started burning from Illume, a brand mostly seen in Anthropologie (I found mine at Nordstrom under the Anthropologie brand). 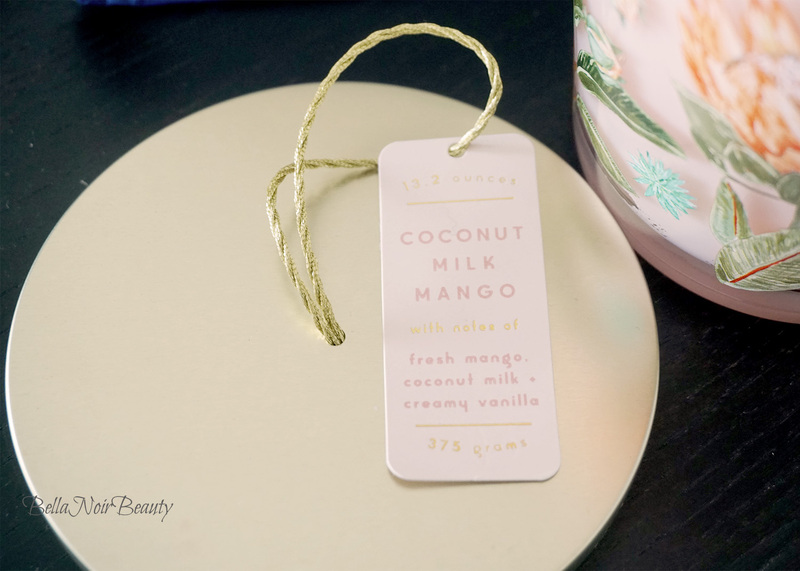 I loved the looks of the candle at first sight: it comforted me, I thought it would smell amazing - coconut milk mango... what a wonderful-sounding combination! To top that off, it's beautiful to my eyes and would work well with the decor in my bedroom. The wax in the candle is a peach shade and the outside of the jar has large orange-toned flowers on the outside with mixes of green and teal. It definitely smells like coconut milk and also of a light perfumey fruity fragrance that could certainly be taken for mango. However, I find that portion of the scent is more perfumey than it is mango - which is a-ok with me. I like this candle, but am I in love? Not so much and I'll tell you why. The candle only gives off maximum scent capacity in small spaces, which is a bit disappointing. Candles are a huge part of wellness for me. When I burn them, it's based on my mood and state of mind 100% of the time. I buy them for the way they make me feel primarily, and the actual scent is secondary. However, the scent is also very important for me. If it's too perfumey, I'll neglect that candle. If it's not scented enough, I'll side-eye the candle. When I am burning candles, I don't actually want to think about whether or not the candle is scented enough, I just want to experience it. I remedy this by burning the candle on my night stand where it's close enough to me that I can smell it without problems. However, I don't usually burn candles this way and I can't help but compare it to my Voluspa and Nest candles, which even in smaller sizes don't have any problem smelling up an entire room. For reference, my bedroom is about 176 sq. ft. and my living room/dining room is about 319 sq. ft. I really like the fragrance of the candle, especially on the skin. The candle started tunneling from foolish user error and as I was fighting with the wax, it naturally got on my skin. I loved the scent so much more! I also recently found that the brand has a soap in the same fragrance! Can you say bath time?